As the real estate market makes a comeback in Miami, developers are in the building mood, which is just what they are doing with new Miami condominiums. With several projects underway or about to begin, Paraiso Bay is the next big thing about which everyone in Miami real estate is talking. With the construction tentatively set to begin during the winter months (we know...what winter? 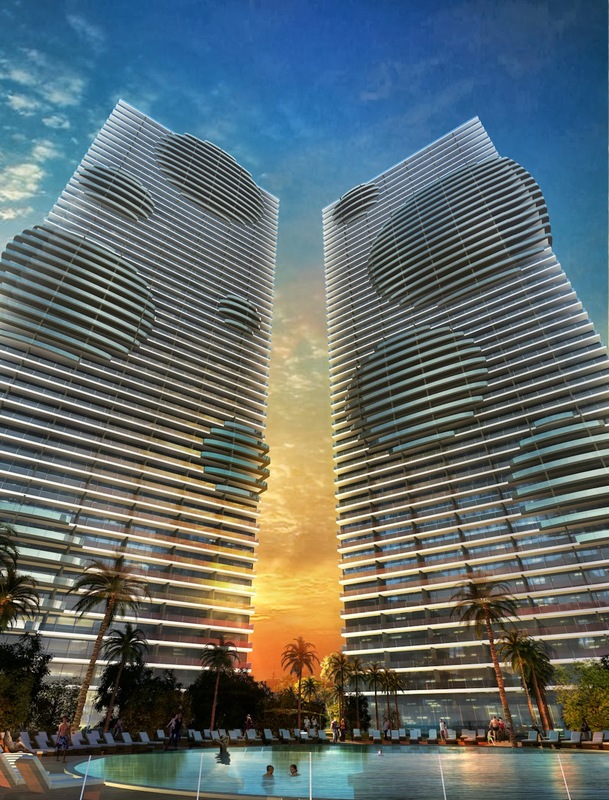 ), the Related Group may have outdone themselves with Paraiso Bay. This new tropical paradise (Paraiso) will be set on five acres that will include a beautiful new park. There are going to be two 55-story towers housing approximately (345) one, two, three and four-bedroom units ranging in size from about 1,000 square feet to about 2,500 square feet. All of the residences have gorgeous bay views as there are only a maximum of seven units on each floor lined up across the building. 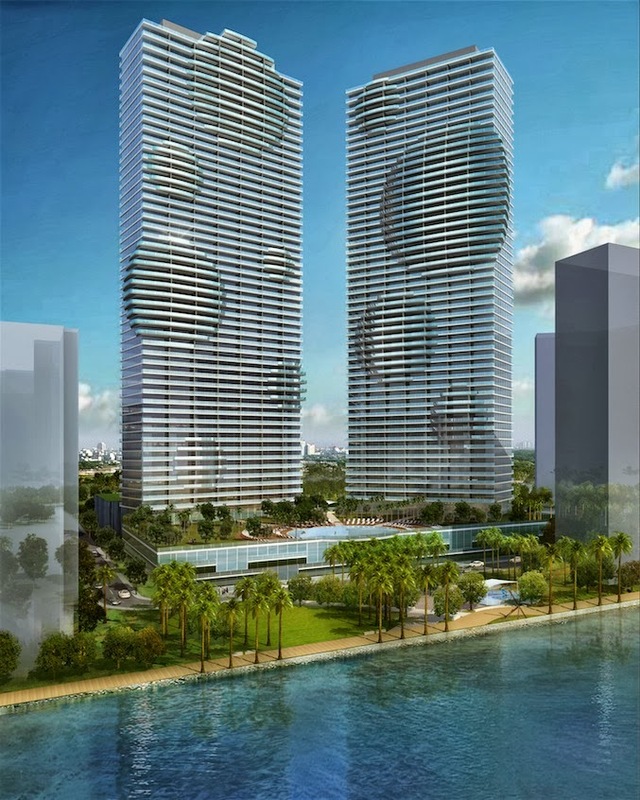 Paraiso Bay will be located on the bayfront in the Edgewater neighborhood. 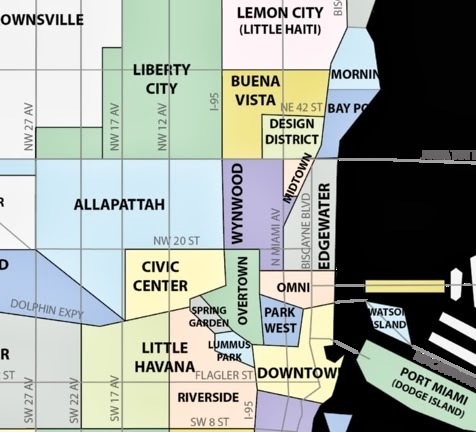 In the past Edgewater was one of Miami’s questionable areas, but with the real estate surge in development and construction as well as the revitalization of the Design District and the Wynwood Arts District, it is quickly turning the tides and becoming one of the revitalization projects. More and more shops are setting up shop in Edgewater as well as the addition of more high-rise and mid-rise condominiums. Edgewater is a perfect area for this type of change as it is surrounded by popular and up and coming areas and is in close proximity to so many other parts of Miami. Miami International Airport is just 15 minutes away while South Beach is just across the Tuttle Causeway which just happens to be a few blocks to the north of Paraiso Bay. 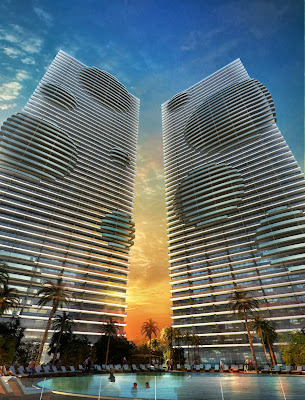 Paraiso Bay is destined for greatness with the people at the helm of this project. Jorge Perez, President and CEO of the Related Group, is the brains behind Paraiso Bay. As the premiere developer in Miami, in return for adding a park with playground equipment and more, Perez was able to permanently close off 31st Street. 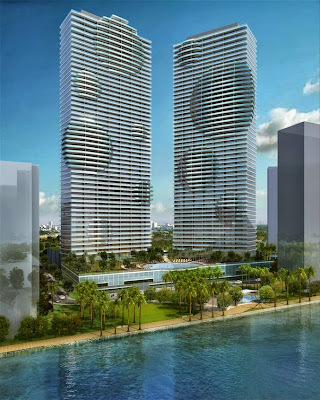 As with other recent condominiums like Icon Bay and Icon Brickell, Arquitectonica is putting Perez’s ideas in motion with the architecture of the property. As for the details inside and out, United Design of London will take on the interior design while Enzo Enea handles the interior design. Where to begin with the amenities is the big question. The plans for Paraiso Bay call for private elevators for each unit, a massive pool deck that is elevated 40 feet and surrounding a 100-foot diameter “lagoon” style pool that faces Biscayne Bay, a relaxing outdoor massage area and spa, state of the art fitness center, half-acre park with playground, exercise area, walking paths and sculptures by artists from the National Young Arts Foundation, and other amenities at the base of both towers that are still being determined. Inside each residence, each unit will be decorator-ready and face Biscayne Bay with amazing views of South Beach via flow through units, high-end appliances by Subzero and Bosch and beautiful European kitchen cabinets, nine-foot ceilings, faceted glass railing balconies and more. For those who live in Miami, every day is paradise in Miami. At Paraiso Bay, this will be paradise in the truest sense of the word. With so many cool areas around Edgewater, this Miami condominium is an excellent investment that will pay off.